The Energy Department’s National Renewable Energy Laboratory (NREL), along with partners from the Electric Power Research Institute and the University of Colorado have completed a comprehensive study to understand how wind power technology can assist the power grid by controlling the active power output being placed onto the system. The rest of the power system’s resources have traditionally been adjusted around wind to support a reliable and efficient system. The research that led to this report challenges that concept. The study, “Active Power Controls from Wind Power: Bridging the GapsPDF”, finds that wind power can support the power system by adjusting its power output to enhance system reliability. Additionally, the study finds that it often could be economically beneficial to provide active power control , and potentially damaging loads on turbines from providing this control is negligible. Active power control helps balance load with generation at various times, avoiding erroneous power flows, involuntary load shedding, machine damage, and the risk of potential blackouts. The study included a number of different power system simulations, control simulations, and field tests using turbines at NREL’s National Wind Technology Center (NWTC). The study developed proposals for new ancillary services designs in U.S. wholesale electricity markets, studied how wind power affects system frequency in the western U.S. with and without active power control, and tested the use of active power control at the NWTC to better understand the performance and structural impacts on wind turbines when providing active power control to the electric system. The wind power response needs to improve power system reliability; not impair it It must be economically viable for wind power plants as well as electricity consumers. Because power plants may incur additional capital costs for the controls and reduce the amount of energy it sells to the market, there must be an incentive to provide the service Active power control should not have negative impacts on the turbine loading or induce structural damage that could reduce the life of the turbine. 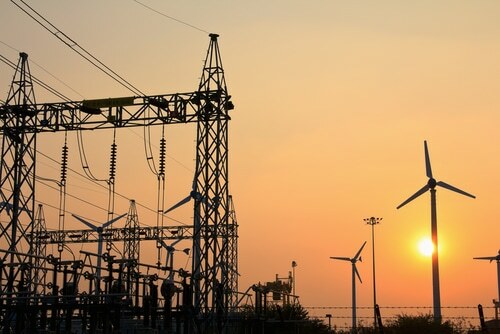 The comprehensive study, funded by the Energy Department’s Office of Energy Efficiency and Renewable Energy, analyzed timeframes ranging from milliseconds to the lifetime of wind turbines, spatial scopes ranging from turbine components to entire regions, and study types ranging from economics to power systems engineering, to control design. “The study’s key takeaway is that wind power can act in an equal or superior manner to conventional generation when providing active power control, supporting the system frequency response and improving reliability,” Ela said. « How Much Are Solar Panels? Wrong Question. How Much Can Solar Panels Save You?